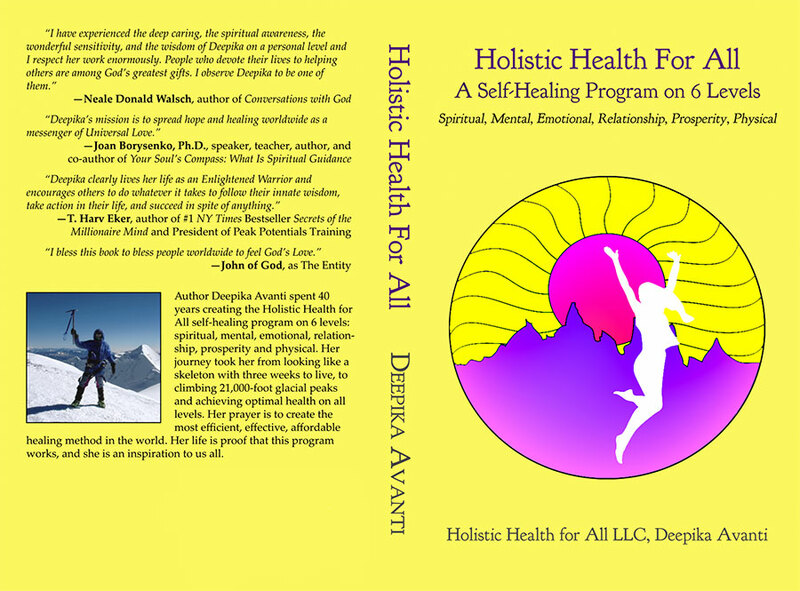 An Advanced Step by Step Self-Healing Program with 39 detailed exercises and 9 charts teaching how to energetically heal yourself and others to attain Holistic Health on 6 Levels to be read after "Embracing the Miraculous, Attaining Optimal Health on 6 Levels" (instant download). Bonus: free Holistic Health For All bracelet! This step by step super detailed Self-Healing Program teaches how to do energetic corrections on 6 levels, spiritual, mental, emotional, relationship, prosperity, and physical, with 38 exercises and 9 charts for yourself and others to attain Holistic Health on 6 Levels. 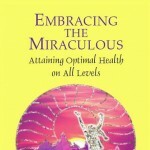 It is an advanced book with techniques based on having read and learned previous techniques in Embracing the Miraculous, Attaining Optimal Health on All Levels. 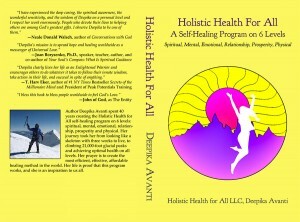 The Holistic Health For All mission is for 10% or more of humanity to live peace, live God, Holistic Health on 6 Levels. These books, the 34 videos on Playlist A and B, the 22 MP3’s, the bracelets and sessions are all part of complete program designed for succeeding to be living Holistic Health on 6 Levels and blessing all existence with this as well. “Deepika Avanti, MA, LPC, meets you on the page. 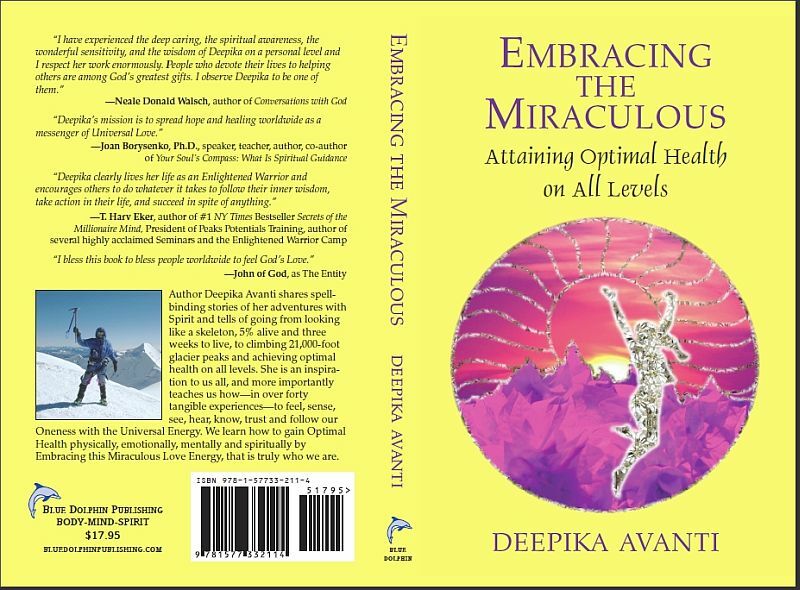 She has put her whole presence into a book called Embracing the Miraculous; Attaining Optimal Health on All Levels, published by Blue Dolphin Publishing, Inc. A non-labeled, but apparent follower of Bhakti (the devotion of the heart to full surrender beyond specific form or religion) she allows God to teach her and guide her. What a beautiful account of how we may discover the boundless expansive world of the Divine when we allow our heart to be taken by the hand of the inner love and universal guidance WITHIN. 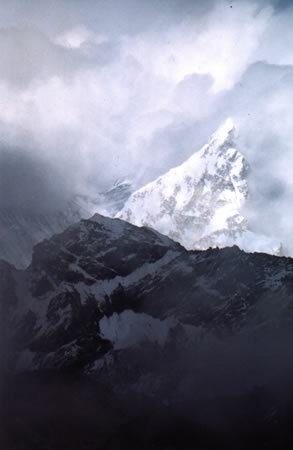 This beautiful spirit, Deepika Avanti, goes far beyond societal maps and current moldings, allowing the promptings of source creator to move her in profound inner and outer ways. She is true example and teacher of DIVINE LOVE being the complete and profound healer.